The Parkway Recycling facility is owned and run by Paul McGowan, who also operates Paul McGowan grab & tipper hire offering contract grab and tipping and muck away services. Between the two companies they operate over one hundred vehicles, with forty-five grab and tipper lorries on the road, three crushers and two loading shovels working in the yard, along with various other excavators and pieces of equipment. Having purchased his first lorry back in 1996, Paul McGowan grab and tipper hire was founded in 2006 and laterally set up Parkway Recycling in 2014 which is when they moved into their current premises at Bromford Lane. Parkway Recycling see on average 250’000 to 300’000 tonnes of waste making its way through their facility each year. One addition to their equipment fleet that has helped to increase their production rates is the introduction of the OilQuick fully automatic quick coupler system onto their Volvo EC250 EL tracked excavator machines and hydraulic attachments. Having fitted the first machine with OilQuick in the Spring 2018, they added a further system to a second machine later in the year and currently have a third on order. 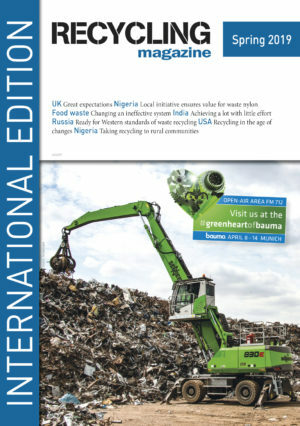 According to Park Recycling the OilQuick system is not generally associated with use in recycling facilities, being favoured primarily by demolition contractors. But Paul saw the potential of Installing the OilQuick system to their excavators working inside the facility, that they could increase their production. We find generally with incoming concrete waste, it will contain rebar which needs separating before being fed into the crusher, same with oversized material, which needs breaking into smaller pieces for the crusher. We use a variety of hydraulic attachments on our excavators to process incoming waste before it is crushed. Typically, it would take 20-30 minutes for the operator to manually take off the breaker and replace with the magnet, etc. The OilQuick system permits hydraulic work tools to be changed automatically by the operator from inside the cab in as little as 15-20 seconds. As the operator remains in the machine, this increases health & safety and means they do not have to handle hydraulic hoses, so the threat of oil spills and burst hoses is eliminated. Paul explained “we found after installing the OilQuick system to the machine, productivity immediately went up as the operator no longer needed to leave the machine to change the hydraulic attachment manually. It is also much safer for the operator not having to leave the machine in such a busy environment and now they always use the right attachment for the job, where previously the may have tried to get by with the wrong tool rather than get out and change it, which left the attachments open to abuse”. The OilQuick automatic quick coupler system is available in the UK from Warrington based attachment specialists ECY Haulmark Limited, who have so far supplied and installed three systems to Parkway Recycling’s Volvo excavators and attachments. 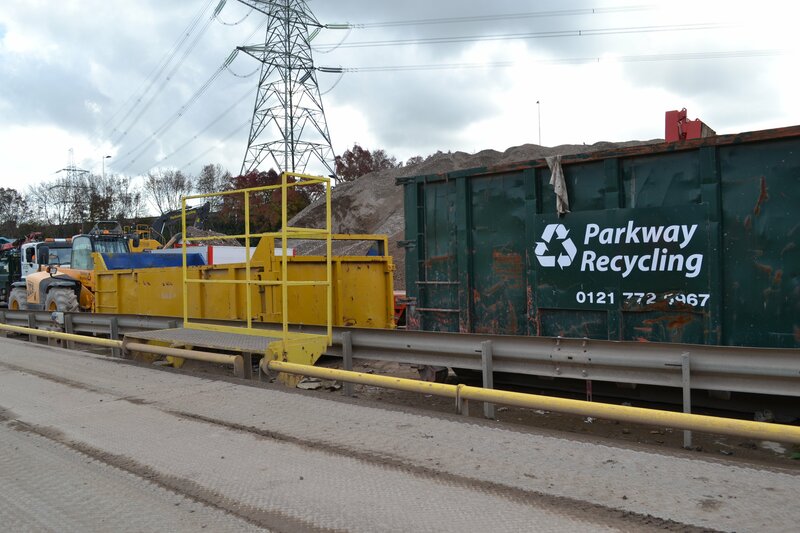 Parkway Recycling operate a number of hydraulic attachments on their Volvo machines, which are also supplied by ECY Haulmark including FX and FXJ Furukawa hydraulic breakers, VTN FP24 concrete processors along with Dynaset hydraulic magnets. Paul added “we like the quality of the products supplied by ECY Haulmark and know that there is always an efficient and reliable back up service from them, should we need it”.